Russian telecommunications regulator Roskomnadzor may have gone a tad overboard while complying with court order to block Telegram messenger in the country. In an attempt to block servers used to circumvent the ban, Roskomnadzor blacklisted several million addresses used by Google’s and Amazon’s cloud platforms, thus impacting plenty of unrelated services – including the Nintendo Network. Russian users are sharing screenshots of online Nintendo games failing to connect on all of three platforms running Nintendo Network. Since it’s internet providers who are setting up the blacklists, the actual number of impacted services varies by carrier. 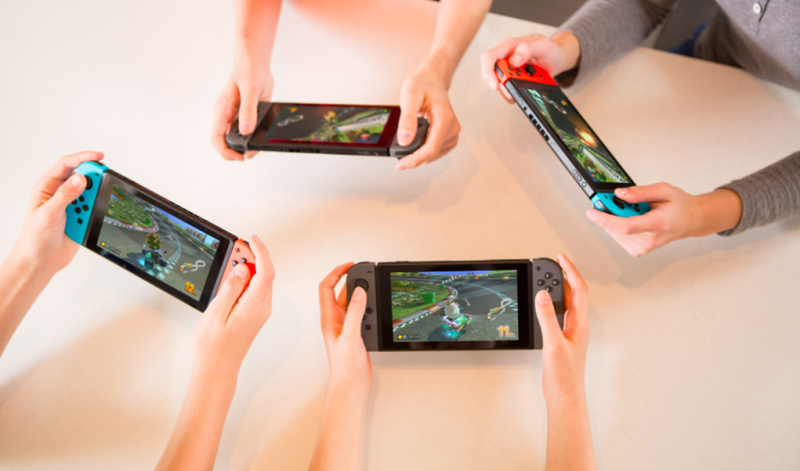 However, it seems that software which uses peer-to-peer connections, like Splatoon 2 and The Legend of Zelda: Tri Force Heroes, are the most common victims of the outage - although some users are reporting that they cannot access the Nintendo eShop, too. On Nintendo Switch, running the network test may show the NAT type being degraded to F, which means connection to other consoles isn't possible. It is noted that the PlayStation Network seems to work as intended. Nintendo has acknowledged the outage on social media, but has no information to share at this time. This is, unfortunately, not the first time Russian internet-controlling officials have accidentally blocked cloud services like AWS while trying to pin down something way more specific; we hope that Nintendo’s online services will return to normal operation soon. I mean......okay. Dare I ask WHY? And dare I also ask WHY they overstepped the mark? That's what happens when you live in a country with a dictator who bans, arrests or even kills his political opponents. Don't get me wrong, the west and Japan have their share of problems, but Russia is pretty messed up. Welp. I hope the Russian Switch players will be able to play again, but this looks like it's going to stay the way it is for at least a very long time. @YummyHappyPills have you heard about Russia before? Lmao. @PorllM I have yes. As a biological male who is non-binary and attracted to men, yes I am very aware. I just wonder why specifcally Telegram. Is it because they cant monitor it or something? Im unfamiliar with foreign government policy on communication via applications. It May be a wider issue that's Putin Switch owners offline. Hopefully not and they'll soon be Macronline. The government wanted Telegram to give it encription keys to read user messages. They refused so Roskomnadzor decided to block the service. But as it uses multiple ip's the thing got out of control. Now some banks, some retailers, online services can't work proper. That what do countries who are opposed to a so called 'democracy', look at Iraq which didn't block anything & compare to China who have the Great Wall firewall. I'm okay with such circumstances, lack of online gaming is a minor issue to a country wealth. @YummyHappyPills Because Telegram belongs to a Russian company which is opposed to Russian government (their servers are not in Russia). Also Russian government asked for message encryption keys, they refused, so they banned them. The same happens in my country Iran (We are allies with Russia). They planned to ban Telegram in the next week. I hope this ban does not affect Nintendo online services in my country. @OorWullie Nice. No one will trump that any time soon. A pathetic court order by a pathetic and inept Government. I’m from Russia and everything works fine here. Played some Splatoon 2 in the morning. So - it’s all just speculation. @OorWullie Let's just hope they quit Stalin and start Russian to fix the problem. @Heavyarms55 oh yes, do believe all the anti-Russian propaganda. @YummyHappyPills "As a biological male who is non-binary"
May I ask what's that supposed to mean? @LemonSlice I am biologically male. And that's the last time anyone beats Putin at Splatoon 2! @NightBeast I’m highly sceptical that all allegations against Russia are simply propaganda. It might be working for you, but that doesn’t write off the entire story as simply speculation. Don’t think you speak for the whole of Russia on this. Or it must be Nintendo Life’s contribution to the Western anti- Russian conspiracy. @YummyHappyPills What does genderfluid mean, exactly? Confirm, Nintendo services works without problems via Rostelekom and Beeline. @QuixoticRocket This is canon now. @LemonSlice A person who is genderfluid prefers to remain flexible about their gender identity rather than committing to a single gender. @HappyMaskedGuy well, you probably didn’t read the comment to which I was replying. But if you’re referring to the legitimacy of the NL’s article, then yes - Telegram was really blocked in Russia, but only for two hours - now it works perfectly. No country is perfect and this ban reflects our government’s insecurity. As for me, I didn’t experience any problems with my Switch, - it worked well yesterday and here I am playing some Doom online. As for the propaganda aspect: every mass media is propagandistic and all you have to do is choose what to believe. I believe no one - just facts: what I see, feel and perceive. And based on all this - yeah, in most (most, mind you - not all) cases all negative news about Russia is just propaganda. @YummyHappyPills Dunno, I identify as a human being and I'm fairly inflexible about that. Are you androgynous perhaps? That one I can understand. @Ensemen It really is. But, as a matter of fact, I don’t support any government, since all of them serve their own agendas and nothing more. Anywho, I think we got a little carried away, since this site is definetely not the place for these kind of squabbles. I think it is all not only because of Telegram. I mean, that in Putin's Russia major values is "stability" and "tradition". For example Sony and Microsoft a traditional companies on Russian game market. Even more, PC and Playstation is a "nationwide" devices for russian gamers. So Nintendo is not a traditional company on Russian game market and it's growing popularity is a threat for stability on it. I fear, that Nintendo online services and online sevices of other foregin non-traditional companies can be completely blocked on territory of Russian Federation very soon. when u really think that putin is a "dictator", then it sounds for russians like a big joke. Russia is much more complex then you know, even more complex then western countries. there are many groups/movements in power structures and many people are fighting for power there. also about the data laws: do you know that Germany, US and other western countries forced Facebook, LinkedIn and other companys to save their data local in their countries. Linkedln refusedbto fulfill the exact same law in Russia ( which Russian government copied just from the US ) it's avout geopolitics you know ? also inform youself about the encrypted Telegram and what germany and france for example want to do and what their police is capable already since end 2017 to do with Telegramm, What's App. Russia is learning to go it's own way and also makes own mistakes of course. @NightBeast Have you considered that you could be a victim of propaganda yourself? @LemonSlice They mentioned that information because all gay content in Russia is censored and, in some regions, men who love other men are systematically murdered. @woodkid5 Lots of defensive accusations and putting words in my mouth. Clearly you are a Putin loyalist, because anyone else who can think for themselves would never defend him. I am aware that calling him a dictator is something of a simplification because of the complex system of politics in the country. But no government that arrests and outlaws political opponents is legitimate. @NightBeast "Propaganda" lol right. With pleasure dude. Seriously though, I'm not too surprised when I read Russia as the country who did this. @amiiboacid All of us are. But I only believe the facts, - what I see, hear and perceive. @skrax @10-zx Alright you two. There's no reason to get offensive like that. We don't need that here in the NLife comment section. @ReanSchwarzer7 @bignrules I'm just letting you know that I've deleted your comments, just to prevent this comment section to derail any further (but I'm afraid it's too late for that). @TossedLlama Whatever that was, no spam please, thank you. @amiiboacid @jimi @Anvold Let's stay on topic please; that's not Russian law or censorship in Russia by the way. And please no derogatory comments. It's interesting that you mention all kinds of other bad things that may or may not be happening elsewere in the world as a counter argument to whatever it is you are trying to defend. As far as I checked, two wrongs don't make a right. This comment section has been littered with all kinds of fallicies in logic argument with person A trying to outscream person B. There have been non sequitirs, biases etc, etc, etc. This post is simply about the fact that unfortunately our fellow Nintendo loving gamers did (temporarily) not have access to online gaming due to powers beyond their reach. How about seeking to comment on what binds the visitor's to this site, eh? If you think there are beliefs in some way that you don't agree with that have nothing to do with the online problems that occured, I would suggest taking it elswhere. @jimi @amiiboacid @AyeHaley On topic please! @YummyHappyPills from what I know, Telegram started off as an app to let Russian people communicate without being observed by the goverment. Or something like that. Bascially, there's no way to read the messages unless you're the one sending or receiving them. If anything I'm far more surprised by the fact it took them this long to block it out. It's good to have people like you around, especially when considering the current state of society. I mean, picking Telegram was a very clever move by the Russian government. It's almost universally a furry chatting platform. did i just get censored ? @ReanSchwarzer7 “facist” isn’t that like the new trendy label for people leftists don’t agree with? I better move from the Russia before our goverment will close our borders. Thats not just about Telegram, situation in Russia is becoming more and more absurd every day. Sorry for going too political, thats just unbearable to realize that you live in a country ruled by an extremely idiotic government. @NightBeast Well, Im from Russia and Nintendo services arent working for me for 3 days. My ISP is TTK.